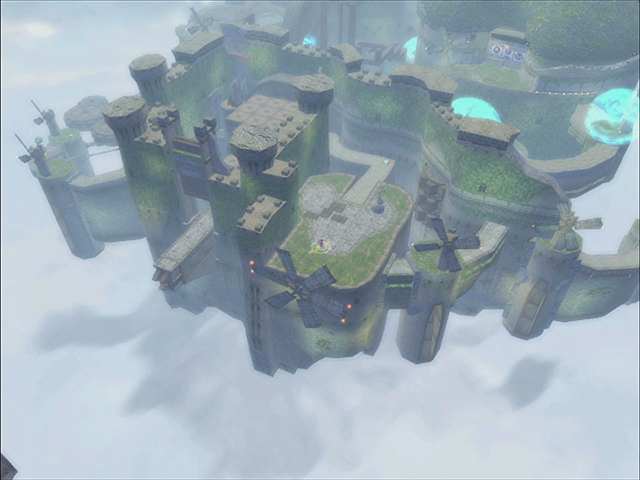 ​The Sky World ​is a location and Round 4 in Blinx 2: Masters of Time and Space. Despite its common name, the Sky World is not comprised entirely of sky, but rather has bottomless sky below and ground above, forming a ceiling of sorts. The inhabitable portion of the world is comprised of floating structures that remain between the clouds and ground. As such, the void below the clouds is not visible under normal circumstances. Like some other worlds, such as the Time Oil Well World, the Sky World is largely occupied by technology and appears to be populated when not experiencing issues with time flow. 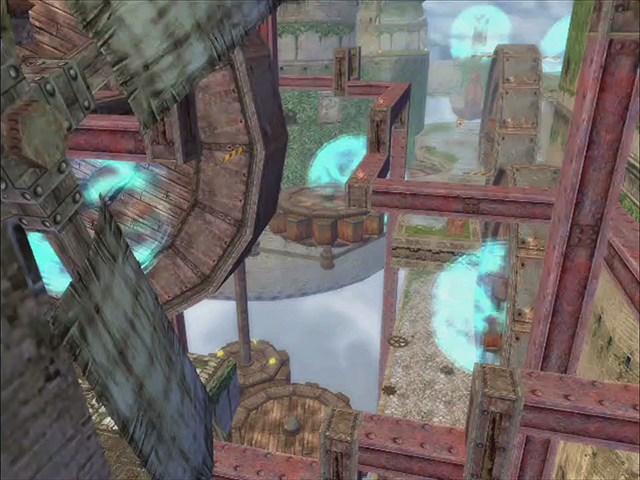 Machines similar to windmills in appearance generate wind (effectively functioning as fans) and giant gears turn throughout many of the islands to operate these machines, as well as other mechanisms such as bridges that can connect the floating islands together. Also commonly found are metal support beams, though some are rusted to the point of crumbling apart, as well as flying vehicles. Other areas are decorated with plant life, including grass and trees, though a statue of Princess Lena from World B1Q64 also exists. 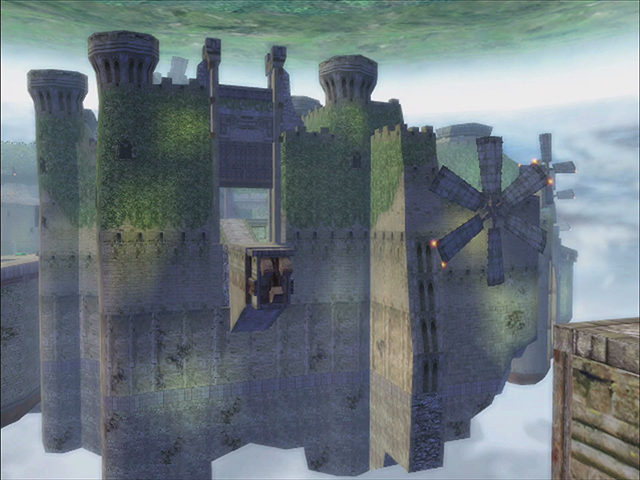 Notable islands in the Sky World are the Flying Castle, on which Team Pelon encountered the time monster resembling a giant Benito prior to Duke defeating it and retrieving a Big Crystal fragment, and Sky Island, which contained a treasure known as the Flight Stone. 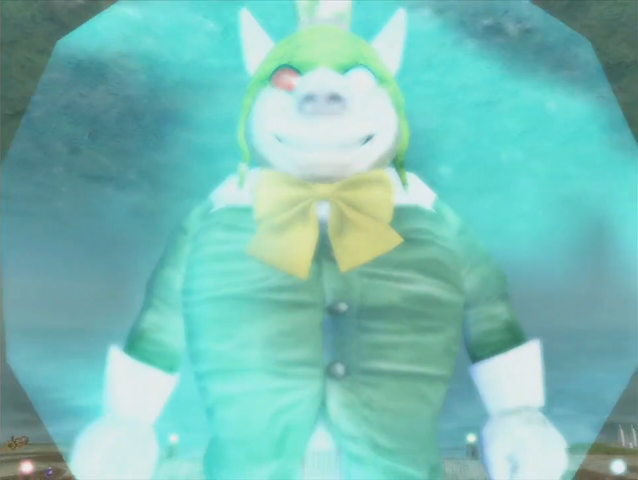 The Flight Stone was stolen by the Tom Tom Gang, however (specifically Squealer), and then used in upgrades for the Benito Battleship.